The Florida Department of Transportation (FDOT) reports that Florida is among the top states in the nation when it comes to pedestrian accidents. In fact, 27% of all traffic fatalities in the state involve pedestrian or bicycle accidents. Unfortunately, children and students can be especially vulnerable to these types of accidents, simply because they may bike or walk more often than adults. 1) Pedestrians can use crosswalks. Where they are available, crosswalks can reduce pedestrian accidents. Quite simply, drivers expect to see pedestrians in crosswalks where they might not expect people to walk out in between parked cars. 2) Bikers can ride in the direction of traffic flow. When bicyclists obey traffic rules and move in the direction of traffic, they become more visible to other users of the road – including drivers of cars and trucks. 3) Drivers can watch out for other users of the road. Motorists have an obligation to be courteous and safe around other users of the road – including pedestrians and bicyclists. This can mean checking blind spots and using mirrors to check for road users not easily visible. 4) Both drivers and pedestrians can avoid distraction. Driver distraction is a leading cause of car accidents, but it can be deadly for pedestrians and bicyclists, as well. 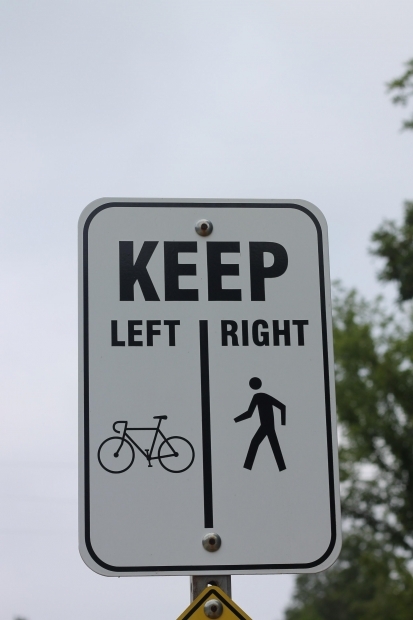 Pedestrians and bicyclists not focused on the road because they are listening to music or paying attention to a mobile device may miss important cues – like a changing traffic light. They might also forget basic safety precautions, such as looking both ways at an intersection. 5) Motorists can avoid speeding. Speeding reduces response times. When a driver is heading down a road too quickly, he or she might simply not have enough time to brake or swerve to avoid a child running into the road or a pedestrian they failed to notice. 6) Everyone can write to their elected representatives to encourage better traffic signs, bike lanes, crossing signals, and foot bridges. Just a few years ago, Florida was ranked first in the nation when it came to bicycle and pedestrian fatalities. While Florida is still among the top states, fatality rates have improved, and part of it may have to do with safety initiatives such as better education and more pedestrian-safe and bicycle-safe areas. Writing to your representatives to encourage more safety measures can help Florida become even safer. At Flaxman Law Group, our attorneys are committed to Florida traffic safety. We routinely advocate on behalf of people who have been injured due to reckless driving, poor signage, unsafe roads, and other unsafe conditions. We firmly believe that when people stand up to unsafe conditions, we as a community become safer and stronger. If you have been injured in a traffic accident, you can always contact Flaxman Law Group for a free consultation.